Many women place more trust in their hairstylists than they do in anyone else. For some, going out in public with an unbecoming do is akin to showing up without pants on. Not only do women rely on hairdressers to keep their tresses looking great, but they also confide the most intimate details of their lives to these shear-wielding pros. For individuals who are interested in this occupation and have a good sense of style, excellent manual dexterity, and great interpersonal skills, this can be a great career choice. But first, you will have to learn the technical skills needed to do this job which includes cutting, coloring, bleaching, and styling hair. Let's take a look at what you will have to do to become a hair stylist. If you want to work as a hair stylist in the United States, you will have to attend a cosmetology program that has been approved by the state in which you want to work. Many states also stipulate that anyone working in this field have a high school or equivalency diploma. Some high schools offer programs in cosmetology to their students. If yours does not, or if you already have a high school or equivalency diploma, you can attend a program at a vocational school. These programs usually last at least nine months, but some may be almost two years long. Many grant an associate degree upon completion. Some programs offer classes in languages in addition to English. To find a program, you can do a search on the American Association of Cosmetology Schools' (AACS) website. Look for one that offers a specialty in hair. According to this non-profit organization that represents cosmetology, skin, nail, barbering, and massage schools, tuition costs between $6,500 and $10,000, depending on whether the program is located in a rural or metropolitan area. Tuition in rural areas is lower than it is in metropolitan ones. You will also need to pay for your tools. Before enrolling in a program, it is essential that you find out whether it is approved by the state in which you want to work. If you attend a program that is not state-approved, you will not be able to get a license and, subsequently, will be unable to work as a hairstylist. If you have any question's about a program's credentials, contact your state's licensing board. Find a list of them on the AACS website. A hair stylist's professional development doesn't end with the initial training he or she receives. To keep up with current trends, you will have to continue to take courses throughout your career. What Will You Need to Do After You Finish School? Even after you graduate from a cosmetology program, your journey toward becoming a full-fledged hair stylist is not over. To cut clients' hair, you need a state-issued license. 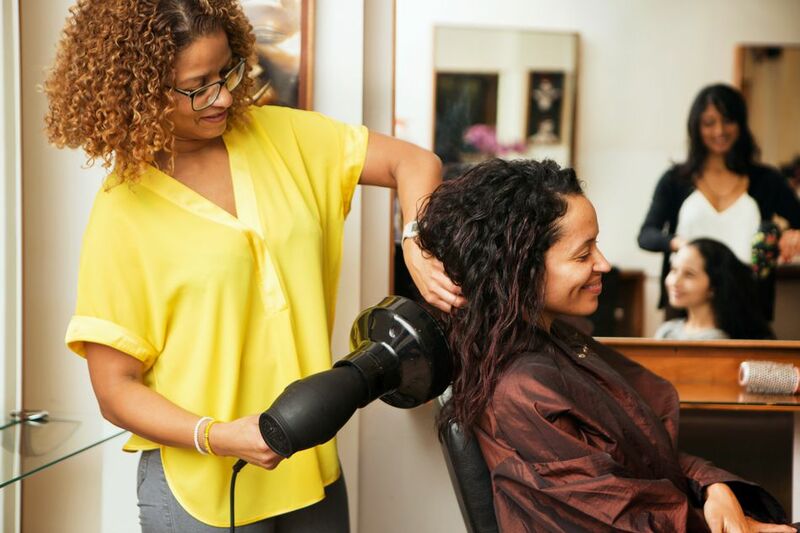 Requirements vary, but most states require that licensed hair stylists be least 16 years old and have completed a cosmetology program approved by that state or by one with which it has reciprocity. Reciprocity is one state's acceptance of a training program approved by another state. In addition to graduating from beauty school, you will have to take and pass a written exam. Some states also require passing a practical exam, during which you will have to demonstrate your styling skills. With your license in hand, it will be time to put the skills you learned in school to use. You will have to find a job. You may already have one if, like many beauty school students, you work in a salon while taking classes. Many cosmetology students work as shampooers since that job doesn't require professional training. If things fall into place, you may have a job there as a professional hair stylist after graduation. If not, it will be time to seek out new opportunities. "Must be friendly and motivated." "Ability to work independently and as part of a team." "Experienced with latest salon techniques." "Ability to build and maintain strong customer relationships." "Excellent cleanliness and sanitation skills."